Garage doors are probably utilized more than any other entrance or exit door in your household or business, and devices that automatically or remotely open these doors can make building access incredibly easy and comfortable. Our company offers numerous types of technologically advanced garage door openers that are designed to dramatically increase the value and worth of your current garage door system. 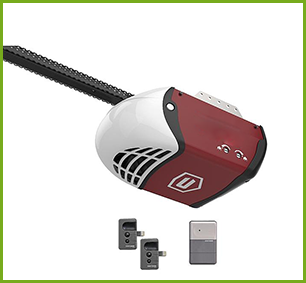 They will not only make your garage door open faster, but many times they are almost silent. 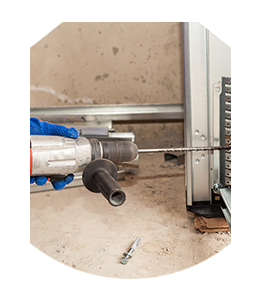 Our Interstate Garage Door Service customers often turn to us when they require complex garage door opener installation services, and they also contact us when they do not want to be bothered with easier installations as well. When you are ready to upgrade your current garage door opener, you can call us for a free estimation that will cover the expense for the device and service. We will then arrive in a vehicle that has all the tools and equipment needed to remove your old garage door opener and install an upgraded device that better suits your needs. Our expert installer will then provide you with information that explains how to operate your device and how you can take advantage of all the new features now available to you. He will also encourage you to inspect his work and answer any questions you may have. Whether you require an entirely new garage door system, would like a partial upgrade, or are interested in learning more about the latest aftermarket accessories, Interstate Garage Door Service is a one-stop garage door system company for the Boylston, MA area. Contact us right away to discuss all your garage doors needs.